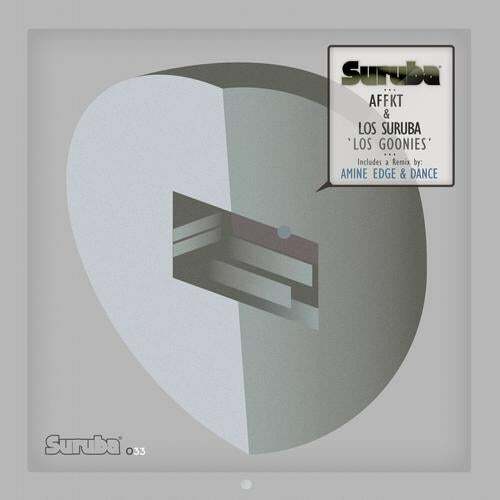 Suruba return with their 33rd EP, this time from label bosses Los Suruba in collaboration with AFFKT, entitled Los Goonies. Spanish duo Delmar and Alvaro have quickly risen to the top of the house pile in recent years, releasing a unique brand of house music on labels like Get Physical, Defected and Stil Vor talent. They provide two original tracks the first is Goonies, a moody and broody brew of disco tinged house music with lush melodies and underlapping beats that demand you dance.Next up, One Eyed Willie is a more pumping affair with icy percussion that speaks of New York house from days gone by. The melodies are mysterious, the beats crisp and the grooves inviting. Finally, hot dance duo Amine Edge & DANCE team up to remix Goonies and do so with some style. Their version features a tortured vocal that gets pushed and pulled about between edgy trance like chords and a deep, diving bassline. Another fine EP from Los Suruba and their label, then, which confirms them to be some of the hottest talents in the game.